The FTC is mailing hundreds of refund checks to consumers duped by a debt relief services company that ran an extensive credit card interest rate reduction scam. Is Your Favorite Hotspot Secure? What’s not to like about the convenience of free public Wi-Fi? It’s nice to be able to connect to the internet when you’re away from home. Unfortunately, these hotspots often aren’t secure. If you go online using public Wi-Fi — like at an airport or a coffee shop — you may unintentionally share personal information with strangers. When you were in school, did you learn about managing your money? I remember learning how to write a check — strangely enough, in music class — but that was about it. A new resource from the Federal Trade Commission takes you through important steps in managing your money. This section of consumer.gov talks about making a budget and opening a bank account, using debit cards, and saving money when you shop. 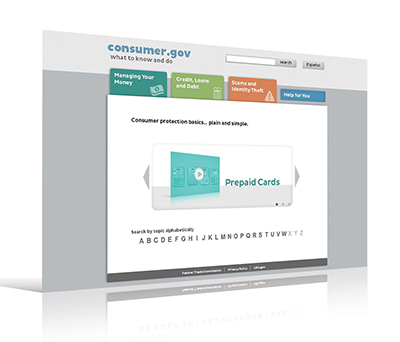 It also gives you information about prepaid cards, using phone cards, and sending money overseas.